"Questions will today be raised about the safety of pain relief medicines based on cannabis, as an inquest opens into the death of a 70-year-old woman who took part in drug trials." "The spotlight on Sativex, the first ever cannabis-derived medication, comes amid rising concern in the medical world over the impact of the government's reclassification of the raw drug." "Today's inquest at the medico-legal centre in Sheffield will hear that Rene Anderson, who had diabetes, joined the trials of Sativex at the Royal Hallamshire hospital. Doctors thought the experimental drug might alleviate the nerve pains she had in her hands and feet. Shortly after starting the drug she developed psychosis and went to hospital. The psychosis was not controlled and after 10 weeks in hospital she develop.ed physical problems, including pneumonia and kidney failure. She died on March 3." "This inquest will explore how and why Mrs Anderson died. It will examine the drug trial, [her] psychiatric illness and physical deterioration that ultimately led to her death," said Richard Starkie, of the solicitors Irwin Mitchell. "If it is found Sativex did play a part in her illness or death, it would clearly raise very important questions [on] the safety of the drug." If the inquest proves that Mrs Anderson was killed by Sativex, which is made from THC extracted from cannabis plants, this would be the first cannabis death ever recorded. Of course it could be the other ingredients that effected the unfortunate woman, or something unrelated. Share holders in GW Pharmaceuticals should not panic, yet. Pharmaceutical drugs kill 100,000's of thousands every year with no dent in profits it seems. However, access on the NHS to a cannabis based drug like Sativex, which does work, and has minimal side effects for most people, will certainly hurt the profits of some of the biggest pharmaceutical companies in the world. They won't mind at all if GW Pharmaceuticals is wiped out. 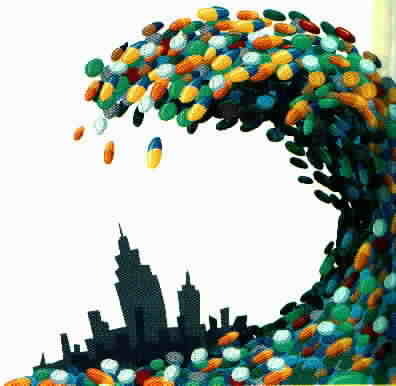 • The rate of deaths caused by prescription drugs climbs roughly 25 percent at the beginning of each month. Mrs Anderson died on 3rd March. The inquest in Sheffield found that Sativex played "a significant role" in Mrs Anderson's mental ill health, which ultimately led to the Frecheville pensioner's death five months later in March 2004. Coroner Chris Dorries said: "On the balance of probabilities, I find that the initial drug reaction must have been a significant contributory factor in at least the initiation of the illness which continued." 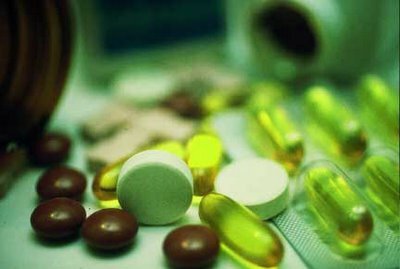 The coroner ordered that a transcript of his findings be sent to the Medicines and Healthcare Products Regul-atory Authority, a government agency responsible for ensuring that all medicines are acceptably safe. He recorded a narrative verdict, finding that she died from kidney failure due to Adult Respiratory Distress Syndrome "following resolving pneumonia due to immobility arising from toxic brain syndrome". News of the Weed adds: What the Coroner did not mention or take into account was that Sativex not only contains an extract of cannabis but also a significant amount of alcohol - and Mrs Anderson was a diabetic! It is well known that diabetics are very sensitive to alcohol. If Mrs Anderson had been given the correct dose of a non alcoholic version of Sativex as used by the Cannabis Grandma, or THC4MS (cannabis chocolate) she would have been ok. This is why campaigners are calling for 'Cannabis Clinics' - run by people who know what they are doing. Ironically there is no record of anyone ever dying from cannabis - untill a drug company tried to 'make it safe'. woody harrelson: "The cops could nail me"
WOODY HARRELSON, hemp campaigner and famous Hollywood weed toker was asked in an interview in todays London Evening Standard if he still smoked weed. "Sure. If the cops [in London] want to nail me they just have to find me on a Saturday night." "If you're banning something because it's harmful, then freaking outlaw McDonald's." 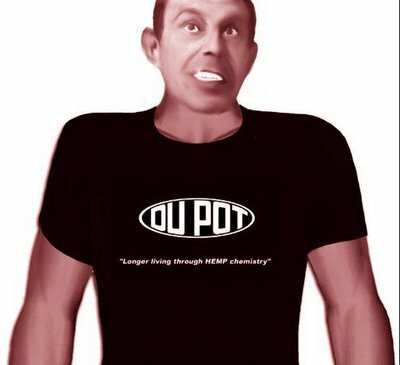 A long time cannabis campaigner, his latest latest venture involves forming an environmental "cartel" to oppose the petrochemical giants; check out his campaignng website: www.voiceyourself.com. Woody may not be worried about being 'nailed' by the cops, but we hope the oil and pharmaceutical companies don't get him instead, presumably he is 'sorted', so he won't get picked up in the ongoing Brixton police cull of 'skunk tourists' trying to buy weed in the area. "This is a cool town." But London won't be nearly as cool if Tony Blair makes cannabis 'Class B' again; Woody will have to move to Amsterdam. 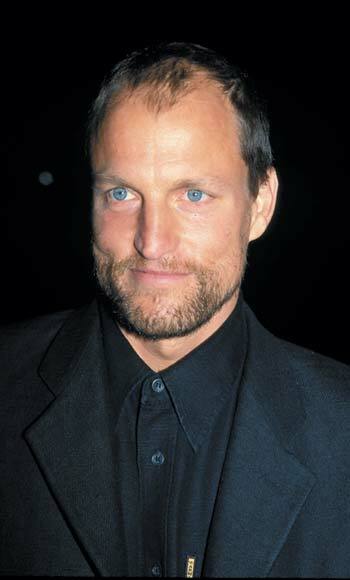 • Woody Harrelson is currently performing at the Lyric Theatre, London. 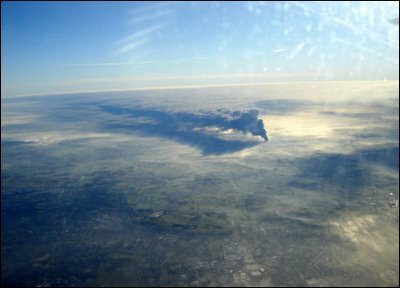 london oil explosion: inhaling toxic cloud worse than cannabis? "Tony Blair is planning a controversial U-turn on cannabis laws and the reintroduction of tough penalties after an official government review found a definitive link between use of the drug and mental illness." "The Independent on Sunday can reveal that the Advisory Council on the Misuse of Drugs (ACMD) has detailed evidence showing cannabis triggers psychosis in regular users. 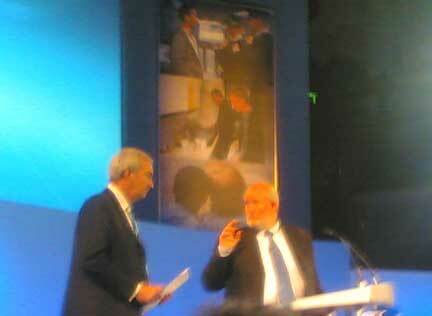 The findings are expected be used by Mr Blair to overturn the decision made two years ago to downgrade the drug. The reports makes it "an open door" for ministers to change the law, according to one official." "Obstacles to a U-turn remain, however, particularly the attitude of the police. 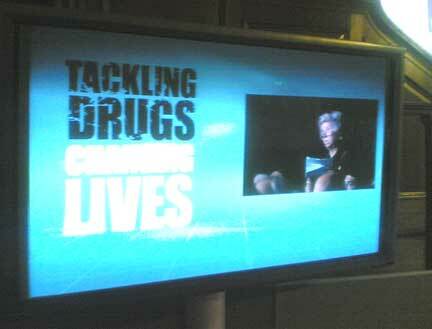 Ministers must overcome police fears that it will reduce their ability to focus on class A drugs such as heroin." "Most senior officers supported the original decision to downgrade because it helped them to focus on class A drugs". 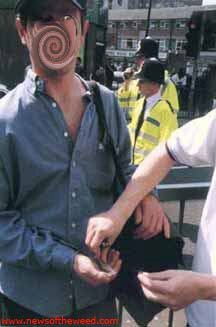 The police may try to track Blair down, to stop him spending an extra billion pounds a year of tax payer's cash on about 100,000 prosecutions for cannabis possession every year (average cost; £10,000 per prosecution)." Meanwhile the news will shock millions of Britains, who regularly enjoy cannabis more than any other nation in Europe. According to the Prime Minister they could be suffering from mental illness, despite the fact that a lot of them voted for him. Doctors have been asked to be prepared for a flood of cannabis using patients on Monday morning fearing they may be mad, or are going mad, because they have used cannabis - or because they voted 'New Labour' in the last election. The emergency services are also preparing for large numbers of patients who will be suffering from parinoia brought on by the news, plus depression and 'emotional outbursts' due to unresolved relationship issues with their prime minister. "A Danish study published in the British Journal of Psychiatry found that almost half of patients treated for a cannabis-related mental disorder went on to develop a schizophrenic illness. People who had used the drug developed schizophrenia earlier than those with the illness who had not smoked marijuana". 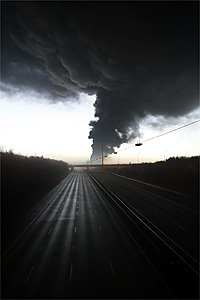 "In light of these new warnings, Mr Clarke asked the ACMD in March this year to review the classification of cannabis." "Whether cannabis caused the development of schizophrenia could not be determined in this study, as it was not possible to control for other factors such as hereditary predisposition, other drug use and socio-economic status." Information on patients treated for cannabis-induced psychotic symptoms between 1994 and 1999 was obtained from the Danish Psychiatric Central Register. Those previously treated for any psychotic symptoms were excluded from the study. The remaining 535 patients were followed for at least three years. In a separate analysis, the sample was compared with 2721 people referred for schizophrenia-spectrum disorders for the first time, but who had no history of cannabis-induced psychosis. It was found that 44.5% of those with cannabis-induced psychotic symptoms were later diagnosed with schizophrenia-spectrum disorders. This proportion increased with length of follow-up. 'News of the Weed' should not have to reveal to any normal, balanced and sensible person that this procedure is so full of holes, you could make a religion out of it. Just as sightings of the 'Virgin Mary' and 'Elvis' come in waves, so it seems do studies linking cannabis to "schizophrenia-spectrum disorders." In March this year, Dr van Os, a psychiatrist at the University of Maastricht, Holland, hit world headlines with his 'discovery' that marijuana is responsible for up to 13 per cent of schizophrenia cases in the Netherlands. What the headlines did not report was Dr van Os had based his whole study on yet another utterly discredited study done on teenagers in New Zealand. "The study of 759 people born in Dunedin in 1972-3, reported in New Scientist magazine, claimed to have found a 10 percent higher chance of suffering the symptoms of schizophrenia among those who had smoked cannabis three or more times by the age of fifteen, compared to those who had not". "However only 29 of the sample of 759 had used cannabis three times or more by the age of fifteen, and just three went on to suffer schizophrenic symptoms". 'Addaction', a leading UK drug and alcohol treatment charity whose research data the Sunday Times had twisted into the shape of Rupert Murdock on XXXX, immediately issued a statement saying the story was "entirely misleading." “This report on Page 7 of the paper was a distortion and factually wrong. We have therefore written a letter of complaint to the Sunday Times asking for clarification as to how this story came to appear in the form in which it was published, and to ensure that the truth is given in a correction of the original story. "We suspect the story was influenced by the 'Sunday Times' wish to write a piece before the imminent deliberations by the Advisory Council on the Misuse of Drugs." "CANNABIS, the third most popular recreational drug after alcohol and tobacco, yesterday won an unlikely accolade from scientists who said that it could boost brain power." "Experiments on rats given a potent cannabinoid have shown the drug stimulates the growth of new brain cells. Canadian researchers found that the drug caused neurons to regenerate in the hippocampus, an area that controls mood and emotions, after one month of treatment." They say a week is a long time in politics, so maybe a month's treatment will not be fast enough for our troubled PM, who could be discharged from his current institution at any moment. 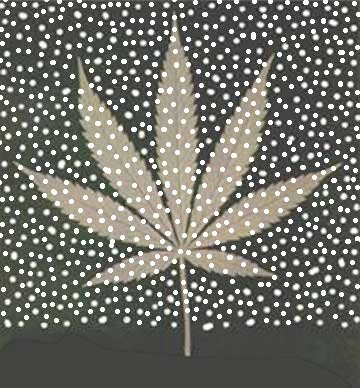 • Test Your Self For Cannabis Abuse is a quick, free, easy, D.I.Y. test, by the 'Cannabis Education & Research Trust', estimated value: £275 an hour on Harley Street. THIRTY to forty 'skunk' street dealers in Brixton could be made redundant for Christmas, or forced to travel miles to be able to work, some as far as 'front lines' outside the 'Hilton Hotel' in Mayfair, on the Kings Road in Chelsea, or in Pimlico, Golders Green, Hampstead, or even Hendon. This is all thanks to 'Operation No Deal' which is due to start in the Brixton area on 12th December. In 'Operation No Deal', Brixton police have issued a public warning that for a three month 'trial' period, they are going to arrest anyone found in possession of cannabis on the streets of Brixton, however small the quantity. They have been seen handing out leaflets outside Brixton Tube Station with the warning, yards from the dealers themselves, who did not complain, despite the threat to their trade. Brixton Police say the aim is to stop the trade by unlicenced cannabis street dealers, who annoyingly whistle, or say 'skunk' to passers by. 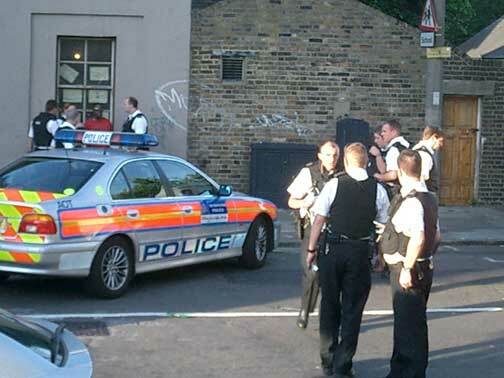 Part of the police 'not-at-all-softly' strategy is to target 'skunk tourists' who come to Brixton to buy the herb, but local restaurants catering for the spin off 'munchie' trade could also be hit. The whole problem is caused by the governments stubborn refusal to give licences to any form of enterprise involving the sale of cannabis, despite a massive ongoing 'civil disobedience campaign' by over three million uk cannabis users who want a 'New Deal for Cannabis', not a 'No Deal', or a 'Bad Deal' which is mostly what they get. The police say their 'No Deal' is for foreign 'skunk tourists' and is responding to nationalistic local demands to end the unlicensed, 'in your face' cannabis street trade which mainly caters to 'outsiders'. Flying in the face of the governments 'Right To Work' policy, the police say they will be making as many of the dealers 'unemployed' as possible, in what they mysteriously call an 'intelligence led' clamp down, involving a massive 'publicity sweep operation' through the British media. Critics complain that Government 'restart' employment grants to help the redundant street traders start up cannabis coffee shops, or 'private' licenced premises, will not be given. They say this will only cause the street dealing problem to continue and/or go elsewhere, rather than stop. Local cannabis users fear it will not only be 'foreigners' or 'outsiders' trying to score who could end up being arrested for possession this Christmas; it could be them! A 'Brixton Citizens ID Card' could be next if the 'Pass Port to Pimlico' mood in the area continues. 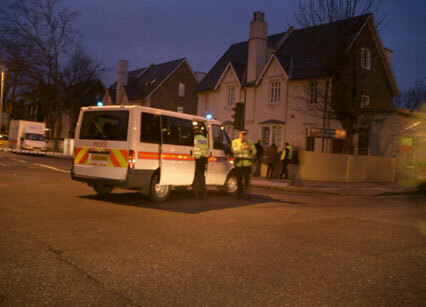 However, the police anti-dealer operation has wide spread support in the local community, where there were huge anti-police riots in the 1980's, similar to those recently in France. The '80s Brixton/UK riots were mainly due to the stop and search 'suss law', that allowed police to harrass anyone they did not like the look of, which at the time was almost everyone in Briton, especially young, black and weed toking. There seems little chance of similar riots now in Brixton, although the new 'No Deal' strategy certainly improves the odds. "I doubt you'd find many people in Brixton who aren't mightily fed up with all the open drug-dealing. If it were put to a referrendum, I expect you'd get a huge majority saying they want it stopped. Having people hanging about mumbling "skunkskunkskunk" (or not even mumbling it sometimes - almost shouting in fact) makes a horrible atmosphere". ".... and the whistling, don't forget that.. gets right on my wick that does, been very close to saying I AM NOT A SHEEPDOG! several times". "... aye, and the bloke who bellows about the bible, and geezer with the staff who rants about the white man, and the old chap with the ghetto blaster and the lady with the comb and the various groups of christians and the lefty paper sellers and him with the joss sticks and the tube touts and the white rasta with the flyers and the grubby junkies and the counterfeit DVD sellers and them ones with the knockoff fags and the women with the clattering high heels and the blokes that walk too slowly and as for the kids on push-bikes on the pavement, don't get me started. Sweep them all away, they make the place too untidy". 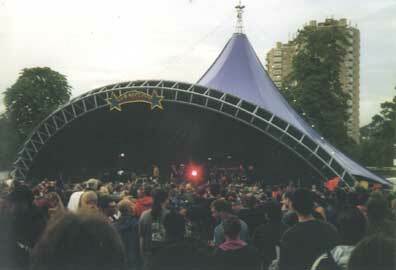 Above: Cannabis Festival, Brockwell Park Brixton, June 16th 2001. 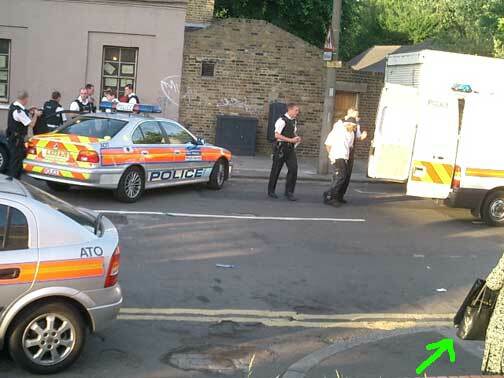 It was problems with 'in your face' dealers offering weed and 'Class A' drugs to Lambeth Council officials at the 2004 Cannabis Festival, held in Brockwell Park, Brixton, that led to it not being given a licence by Lambeth Council in 2005, after five trouble free years. A 'Cannabis Education March' march to Trafalgar Square, central London, was organised instead. "Repression will not diminish demand. Where there is demand there will be supply. The only way to long term get rid of the street dealers is to license and regulate legal outlets - cafes, chemists, whatever". 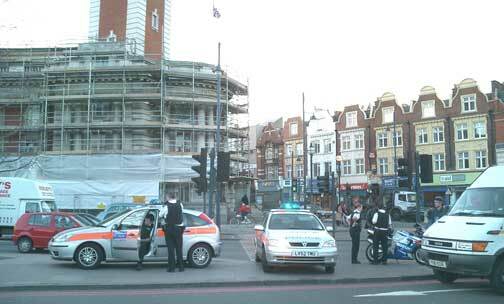 In fact, Brixton residents can look forward to the same 'No Deal' from the police as 'successfully' carried out in Camden, another London 'skunk pot spot', where the weed dealers have taken to stealing each others stashes, and having pitched battles on residential side streets, having been largely moved off 'the bridge' on Camden High Street. Residents who have been 'shooting' the dealers with high powered water pistols have been warned they could be arrested by the police for assault. Recently 'News of the Weed' heard of a case in Camden where two men caught muttering 'gear' to strangers on the street in Camden, were released with no charge by the police after the small plastic bags they had filled with 'herb' were found to contain a non-tobacco herbal mix, but no cannabis. Once again there is no justice, and 'No Deal' for the hapless cannabis consumer - if the men had been selling fake DVD's they would have been charged for selling forgeries, but because it was 'only' fake cannabis they were released. The law obviously does not care about cannabis enjoying citizens being robbed by thieves. We have also heard that a man has been given an 'ASBO' for talking to known weed dealers in Camden, which seems a bit excessive; he could have been saying "No thanks, I grow my own." Meanwhile the majority of cannabis users in Britain will continue to purchase their herb of choice as usual - not from a street trader, but from a friend, relative or work collegue, connected to the massive underground 'cannabis railroad' distribution network. They will be providing the 'Next Deal'. • Final Deal: A 'skunk' street trader was shot recently in Brixton - apparently because he was part of a group of ethical cannabis traders who refused to sell 'crack'. 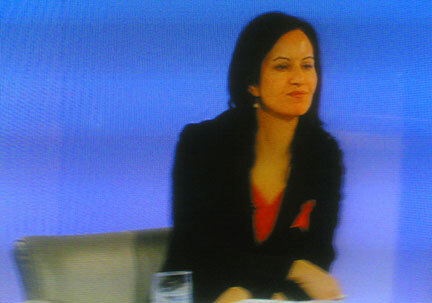 Pictured above: Mr Cameron-Blair caught 'shape-shifting' on British television last night. Right: Mr Cameron-Blair, new leader of the 'New Tory' party. "Since 1975 I have suffered from 14 side effect health problems from prescription medication - and am afraid to ever use it again. I medicate with fresh cannabis bud in my food. How can I, and millions of other people in my position, obtain and use fresh cannabis without the fear of prosecution?" At this the audience burst into spontaneous applause! The canny grandma left the minister, who was obviously not briefed on Sativex or medical cannabis, struggling and unable to answer the question, but the Newcastle pensioner, 67, would not let her get away with it. 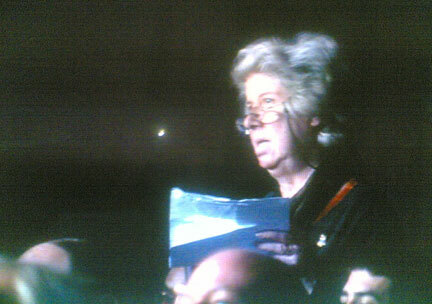 As the Minister tried to escape by fielding a question from someone else, the Cannabis Grandma refused to sit down. 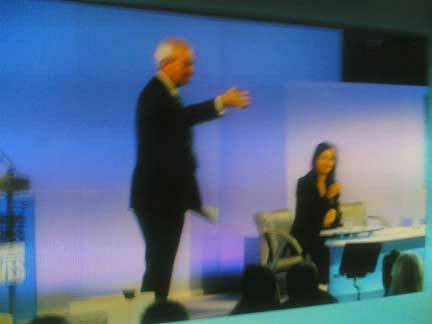 Then TV presenter Jon Snow who was chairing the debate noticed her; "You are not very happy with that answer are you? he said. "No" said Cannabis Grandma "We are afraid to take anything made from pharmacological substances". Realizing that the Minister knew nothing about the subject in question, Jon Snow pointed to Home Office drugs policy 'Mr Big' VIC HOGG sitting in the audience. He said "Ask Vic" (who is boss of 'Frank'), and suggested that the Cannabis Grandma should send her question to him. It is a very important question and a lot of people are very excited about it" said Jon Snow, who has supported drug rehabilitation projects for many years. "Hey Presto, there you are" he said as the Grandma finally sat down, mollified but not satisfied, and determined to track Vic down where ever he was. Afterwards 'News of the Weed' found Vic Hogg (right) drinking Methodist mulled wine in the 'chill zone' at the conference after party. He is actually a very cool geezer, who supports 'Harm Reduction' and 'User Engagement' and knows the truth about drugs policy; "It's all politics' he once explained to a frustrated, foot stamping drugs reform campaigner. 'News of the Weed' will be the first to reveal his written responce to Cannabis Grandma's question. Meanwhile Caroline Flint (above), who helped make 'magic mushrooms' illegal, yet bears a striking similarity to the marijuana dealing star of the 'WEED' soap opera on SKY TV (below), looked like she could do with a dose of Sativex - or maybe she would prefer grannies 'organic' hot chocolate? HOME SECRETARY Charles Clarke has promised that the early 1970's comedy farce 'Carry On Cannabis Prohibition' is set to continue running on the BBC and other news channels at government expense, with back up articles and features in the newspapers, plus radio broadcasts, mobile phone downloads, internet 'fansites', 'podcasts', free DVD's and a spin off to be called 'Carry On Frankly." This is despite the massive cost to tax payers, and the fact that almost no one in the country can be found who finds the tacky production either funny, or danceable, unlike the popular original 'Carry On Regardless' starring Sid James. Clarke's shock announcement came in a speech to a government sponsored 'drugs convention', called "Tackling Drugs, Changing Lives', chaired by Jon Snow of Channel 4 News, held on Wednesday (Nov 30th) at a venue opposite the Houses of Parliament, which is owned by the abstensionist Methodist Church. 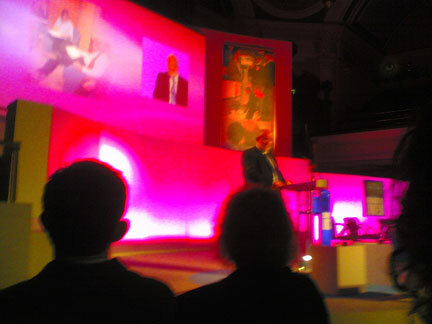 In his speech the Home Secretary also said "We must do all within our power to reduce the use of drugs, and reduce the harm they cause". 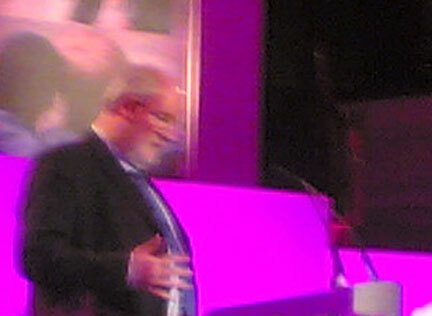 However, 'News of the Weed' can reveal that at the request of the Home Office, run by Charles Clarke, the tee total Methodists were asked to break with their strict traditions and serve alcoholic 'hot mulled wine' at the drugs conference, whose delegates included members of recovering alcoholic support projects, and 'Class A' drug 'user groups'. The 'straight-edge' mystic methodists finally agreed to serve the mulled Home Office "devil's water", but only on one condition; each person could drink just one glass. This alcohol 'harm reduction' policy collapsed within minutes of the bar opening, proving once again that prohibition of any kind, even liberal and 'Class C' in nature, just does not work. 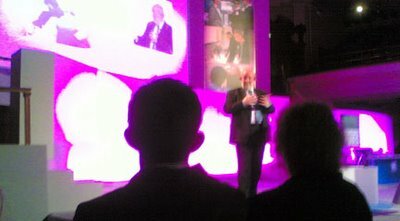 After his speech, which came with an amazing psycadelic lightshow, Charles Clarke was frankly questioned about his plans to continue forcing 'lifers' (people living in Britain), to watch the 'Carry On Cannabis Prohibition' program (and similar US imports) from morning to night, in what he ominously referred to as 'community prisons', (presumably this is home office jargon for housing estates and residential areas). "Do we have a Drugs Problem, or a Prohibition Problem" asked DANNY Kuslick of the enlightened 'Transform' drug policy reform organization; "We are not tackling drugs, we are tackling prohibition, at a cost of £20 billion a year." • Check out Transform's excellent statement on the reclassification of cannabis. I simply don't agree" said Charles Clarke, "I do not believe consumption would go down if we made drugs legal." 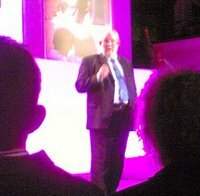 Charles Clarke is worried that if he legalises cannabis, consumption will go up, but he forgets an important fact: most people who try cannabis do not like it! They experiment, often as teenagers, but discover it is not for them. Anyone who wants to take cannabis in Britain is already doing so, unless their dealer is not answering their mobile. But, according to the governments own figures, consumption is going down. Currently in Britain about 45% of teenagers try cannabis, but far less adults use it on a regular basis. This is mirrored by the Home Secretaries very own case: he tried cannabis as a teenager, but did not continue, instead preferring to drink, like many members of the House of Commons. 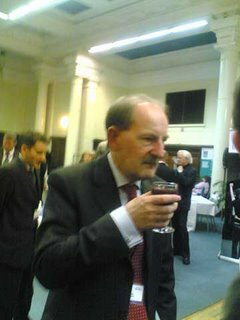 • Whispered to 'News of the Weed' at the conference: "The consumption of alcohol in the bars at the Houses of Parliament has doubled." Hopefully they will not all end up like George Best, who would still be alive if he had only stuck to cannabis like the Hippies, and avoided booze like the Methodists. Charles Clarke is a well meaning politician who also wants his party to win the next election. We want him to have a successful drug policy. Lives, families and whole communities are at stake. 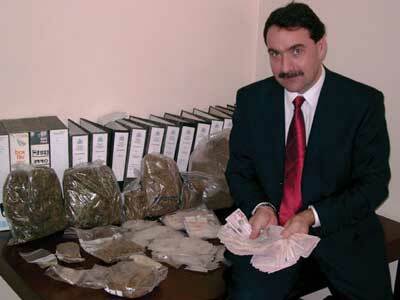 The key to success in drug policy requires having the courage of the convictions he claims. He says he cares about young people, about the victims of crime, and communities of every day working people all over the country. In that case he must have the pure-and-simple guts required to take the sale and distribution of currently illegal drugs out of the hands of the gangsters who dominate the lives of thousands. He needs to reverse the chaos caused by Thatcher's biggest 'privatization'; that of the British heroin, cocaine and cannabis transportation and distribution industries, which took off under her leadership, and have boomed ever since. The only way to do this is by ending prohibition (a charter for crime) through legalization, with regulated distribution via doctors, clinics, therapists and responsible 'user groups'. In the case of cannabis, there should be licensed clinics for medical supply, and licensed premises for recreational use and supply. We must do all within our power to reduce the abuse of drugs, and reduce the harm they can cause.